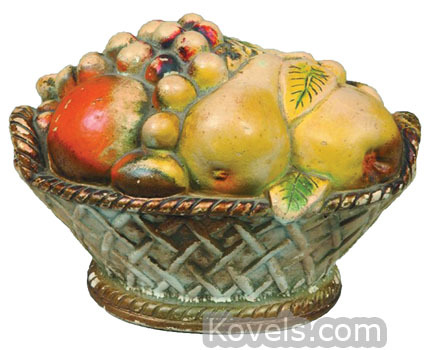 Chalkware is really plaster of Paris decorated with watercolors. 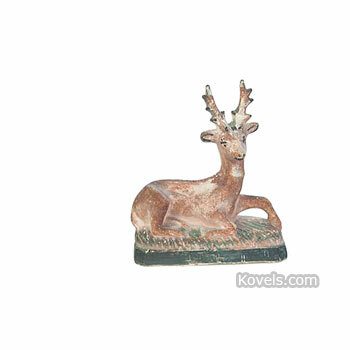 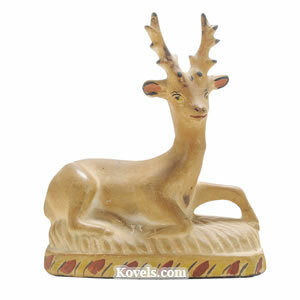 One type was molded from Staffordshire and other porcelain models and painted and sold as inexpensive decorations in the nineteenth century. 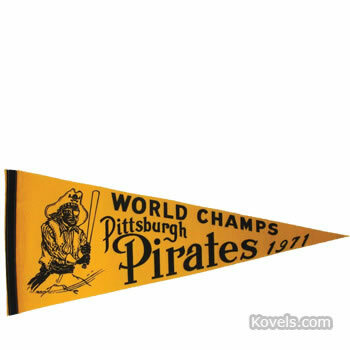 This type is collected today. 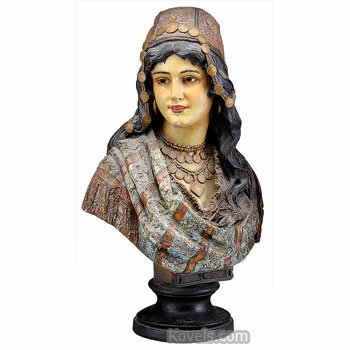 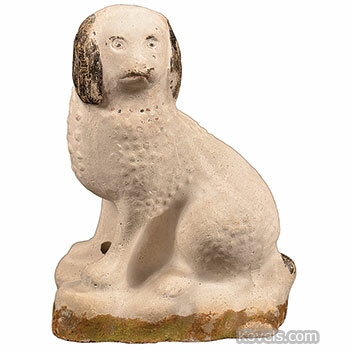 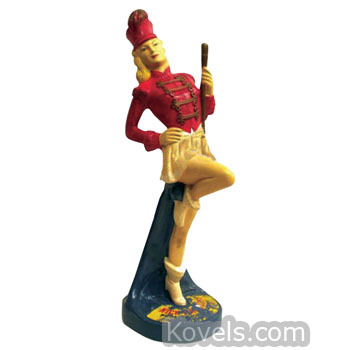 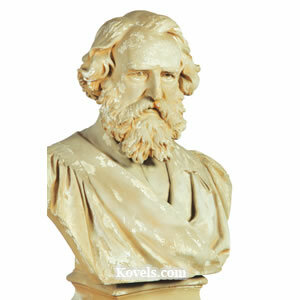 Figures of plaster, made from about 1910 to 1940 for use as prizes at carnivals, are also known as chalkware. 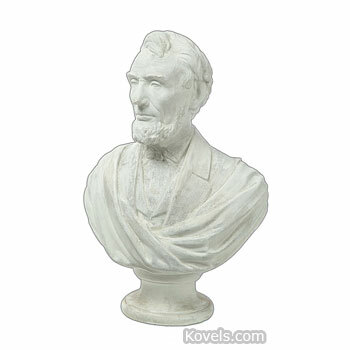 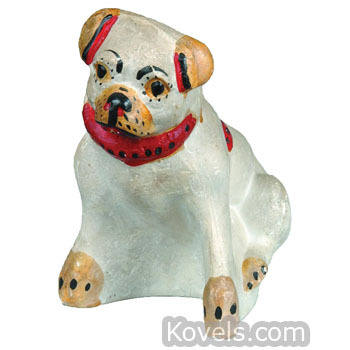 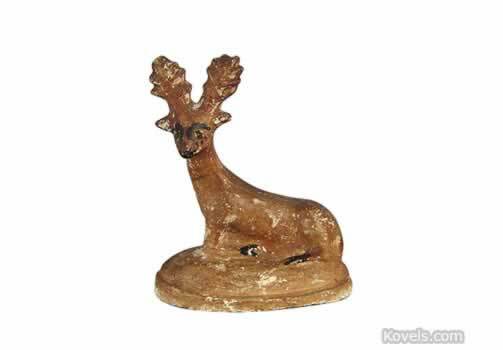 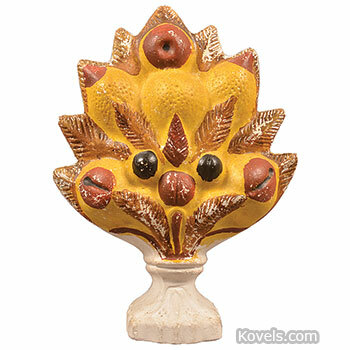 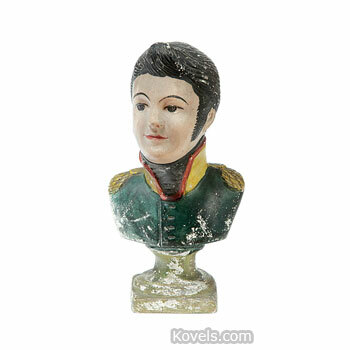 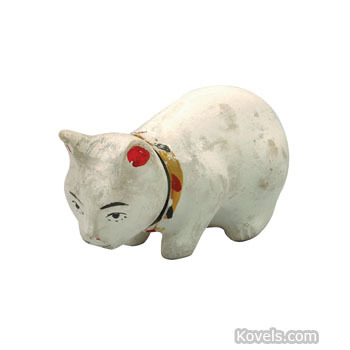 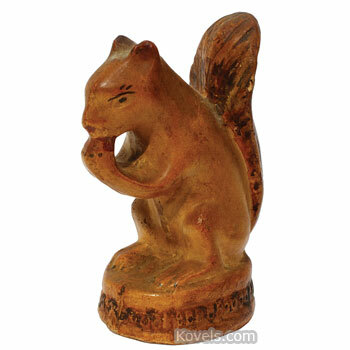 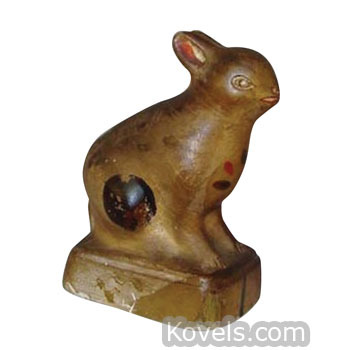 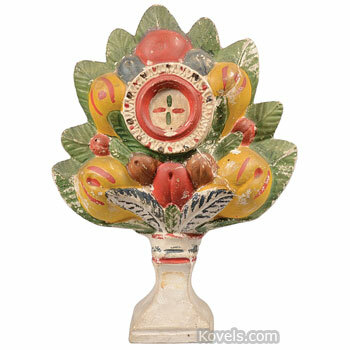 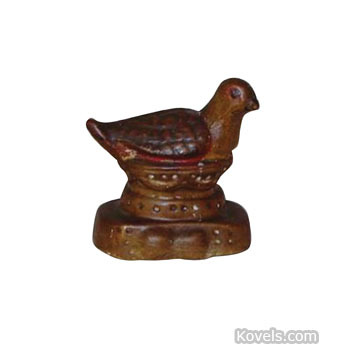 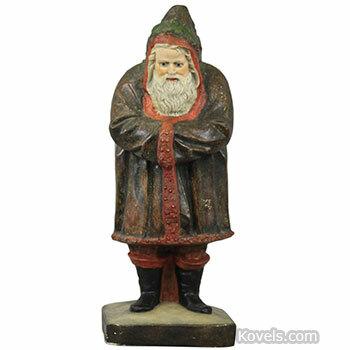 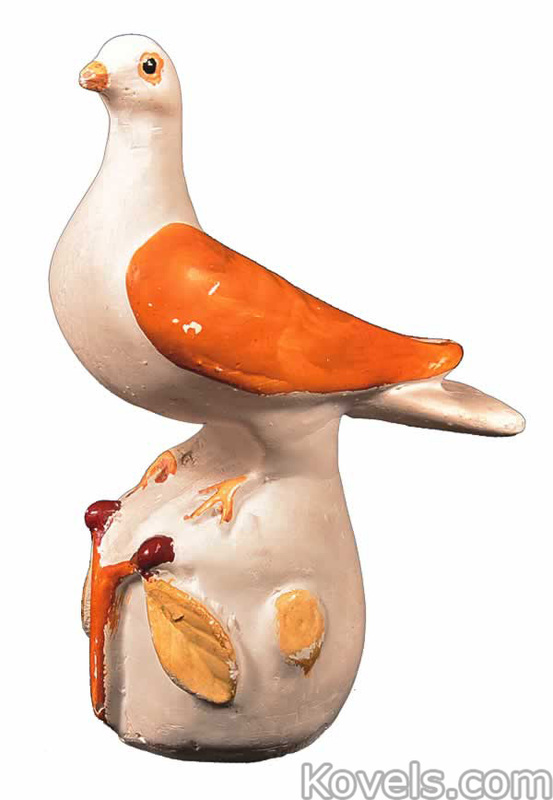 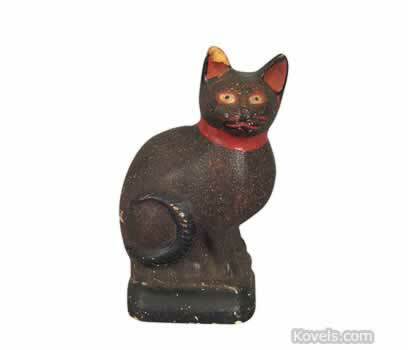 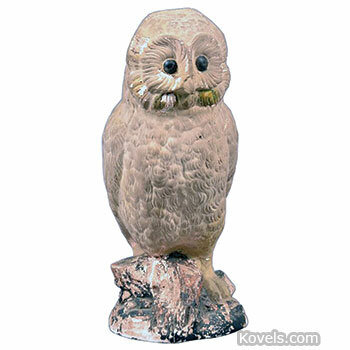 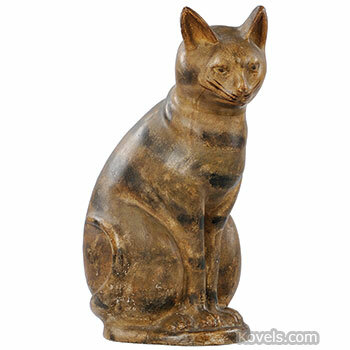 Chalkware is very unsophisticated and is often considered folk art. 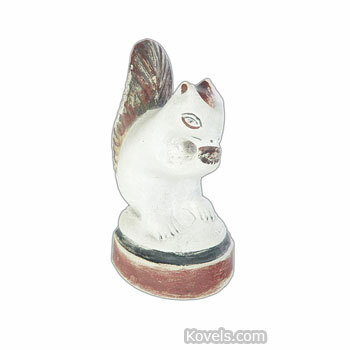 Kewpie dolls made of chalkware will be found in their own category.